Hard to find, Beautiful 5 acre Country Setting. 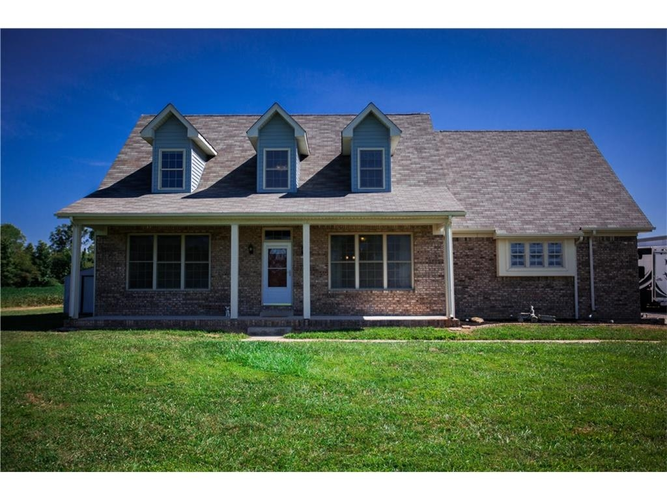 4 bedrooms, 2.5 Bath in desirable Green Township with NO neighborhood restrictions. Newly remodeled Kitchen to include stainless steel appliances, granite countertops, under mount lighting and travertine backsplash. Master Bath, (Make-up Mirror Stays), Powder Bath, Laundry room, all fully remodeled, plus custom blinds! All appliances stay, including washer/Dryer, Microwave, Dishwasher, Gas stove, Refrigerator, and Stand up freezer in garage. Chicken Coup is ready!! Directions:Take ST RD 37 to st RD 44, Turn Left on Bill Smith RD, TURN right to MCWHORTER RD. 2nd home on the left.